After Coaching High School Baseball for over 10 years, I realized there is a real need for a resource not only for players but for parent coaches as well. I’ve worked with thousands of baseball players through the years and most of them are coached by their Dad…just like I was! There comes a time in a baseball player’s life where he commits to this awesome game, to be the very best he can be…and a lot of the time, Dad is right there with him, continuing to learn the game. It’s a great bonding experience that I was lucky enough to have when I was growing up. 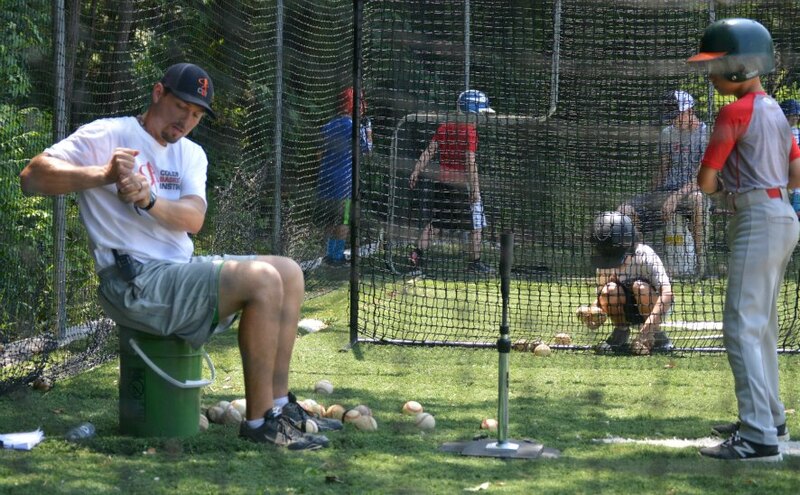 I created Colonial Baseball Instruction to be a resource for the players and their Dad’s (and Mom’s too), who want to expand beyond their personal knowledge of the game and improve either their own ability or to help coach their kids to greater success in the game! CBI is a growing information portal where players, their family/friend coaches and professional coaches can find easy, organized access to training videos, training aids and products that have been tested and proven in the field. We will add product reviews, eBooks and other resources as we work to grow the site to reflect the top level, professional instruction we provide at our camps and clinics. 12 years as a high school baseball coach. 6 of which were as the Head Coach at Jamestown High in Williamsburg, VA.
During his tenure as head baseball coach at JHS, Coach Kuebler posted a record of 86-57. His program helped over 15 players go on to play at the college ranks. Coaches in the Virginia Venom Travel Baseball Organization. Through my private lessons and clinics you, the player and/or parent coach, will learn how to execute drills the correct way to get the most out of them. Not only will you practice good reps but it’s my goal to help you understand why it is that we conduct specific drills. If you have a question or something you or ‘your player’ are struggling with, you can ask your question in the comments area below any of our blog posts or if you prefer send it via our Contact form and I (Coach Kuebler) will get right back to you.